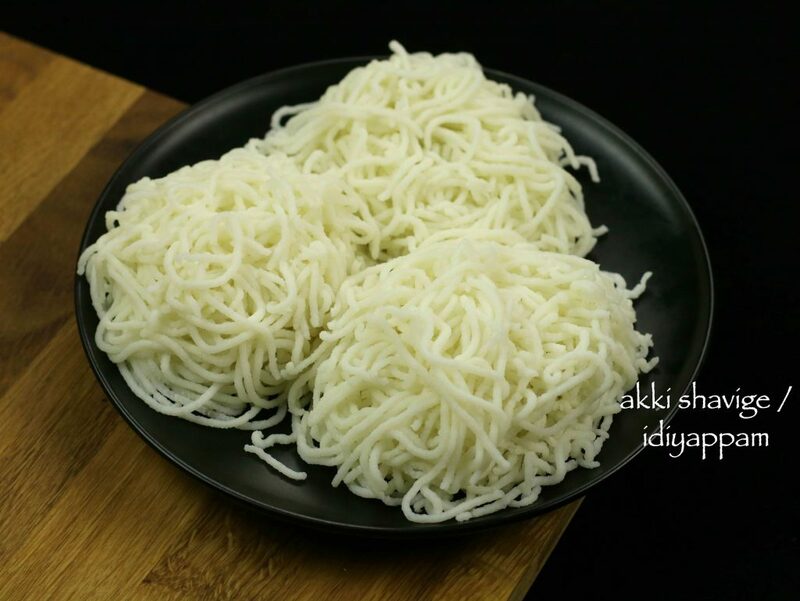 akki shavige recipe | idiyappam recipe | ottu shamige recipe | nool puttu with detailed photo and video recipe. basically, a rice noodles recipe or string hopper recipe which is very authentic breakfast recipe of south india. 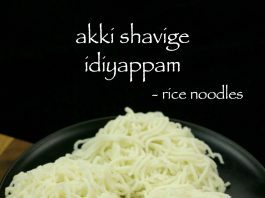 akki shavige recipe | idiyappam recipe | ottu shamige recipe with step by step photo and video recipe. 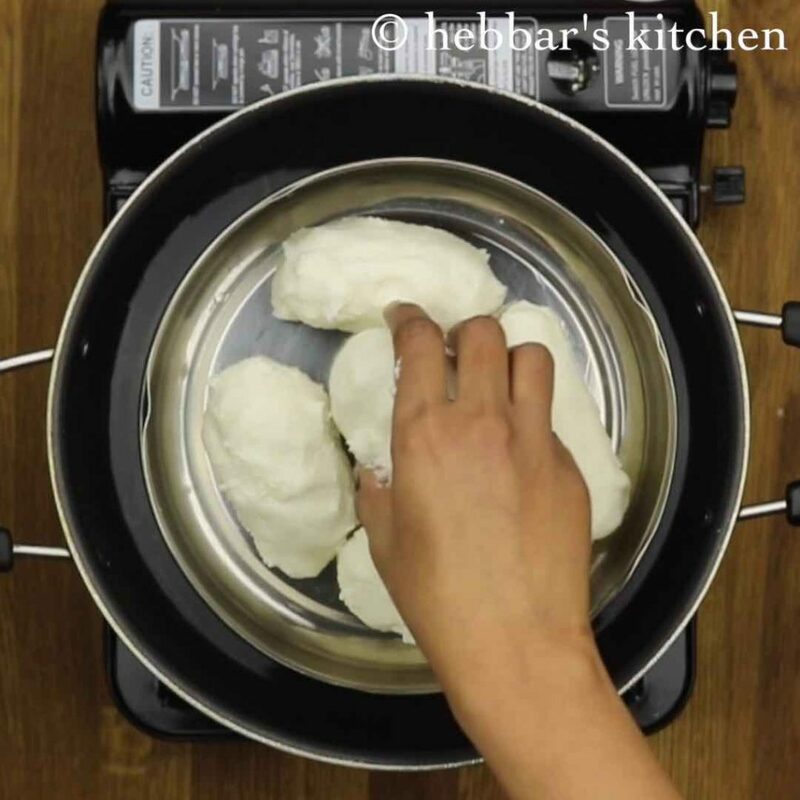 a popular south indian breakfast recipe prepared with steamed rice dough. it is known with different names across south india. it can also be prepared with rice flour which is cheat version to this authentic recipe. furthermore, it is served with either sweet coconut milk or just with choice of pickle recipes. moreover, shamige chitranna is also prepared with idiyappam. which is very similar to upma or lemon rice. while, there are several variations to this recipe, i have followed the authentic south canara version. this recipe is shared from my grandma janaki doddamma and she learned it from her mother. perhaps, it might be the same story with many other in my native. also, this is my first attempt in preparing this age old recipe. i must admit that i am very much satisfied with my fist attempt. well, i did take a lot of help from my husband while preparing it. however, full credit goes to my grandma who explained it to me very well. furthermore, i want to highlight about the other simple version of this recipe. 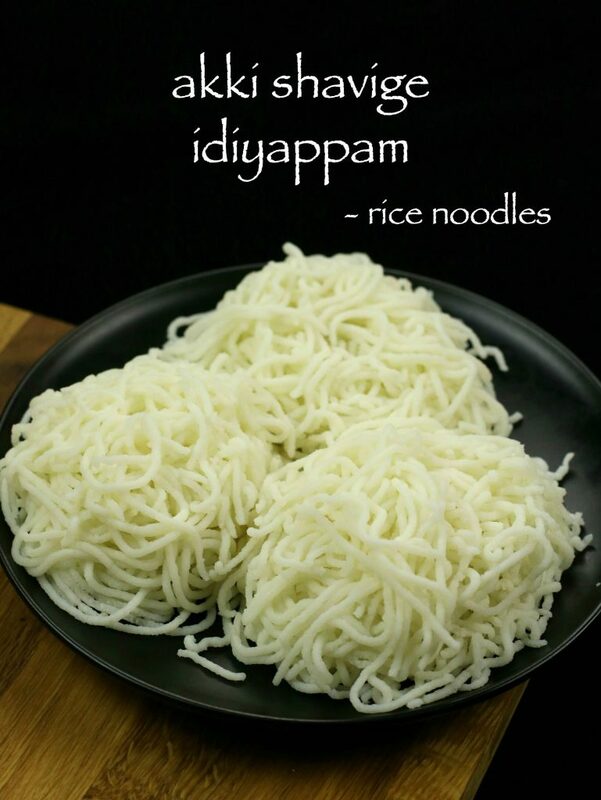 idiyappam can also be prepared with rice flour. the entire process of soaking and grinding can be totally skipped. however, according to my mom, there is a high chance of going wrong with plain rice flour. 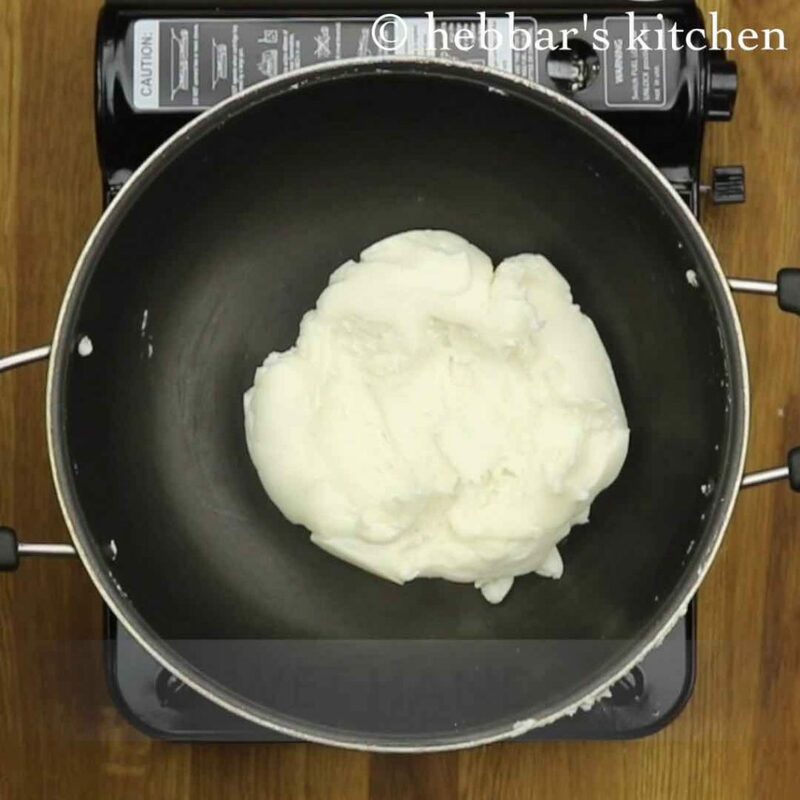 with rice flour, it is bit tricky to get a smooth dough and you may end up with solids. hence grinding is always safer, but can be time consuming. finally, you can also use grated coconut instead of coconut milk while simmering. however i would recommend to use coconut milk. 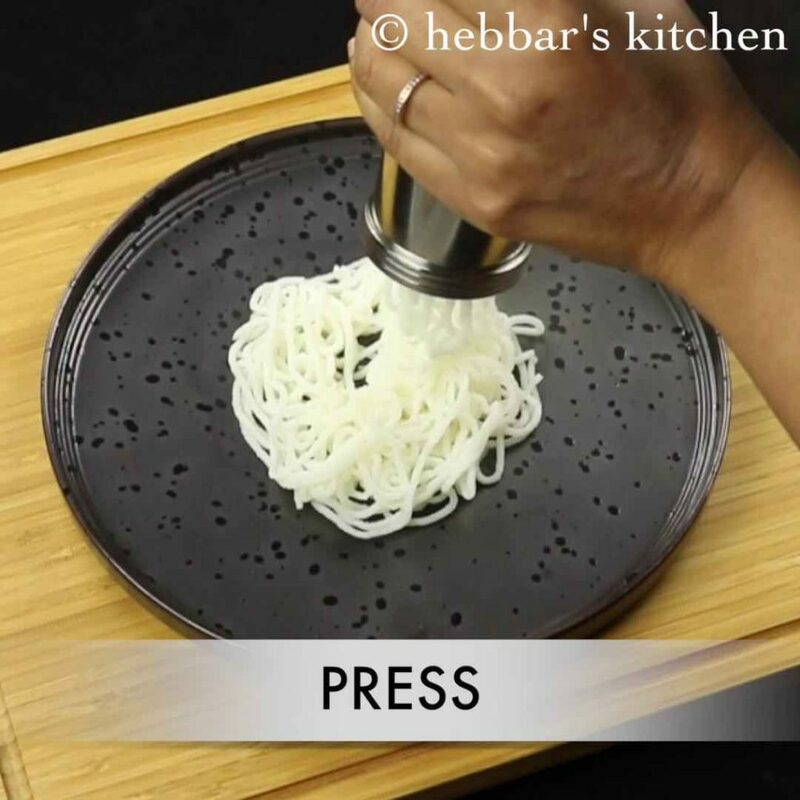 while pressing the noodles, grated coconut can be a issue and may get stuck with the pressing machine. 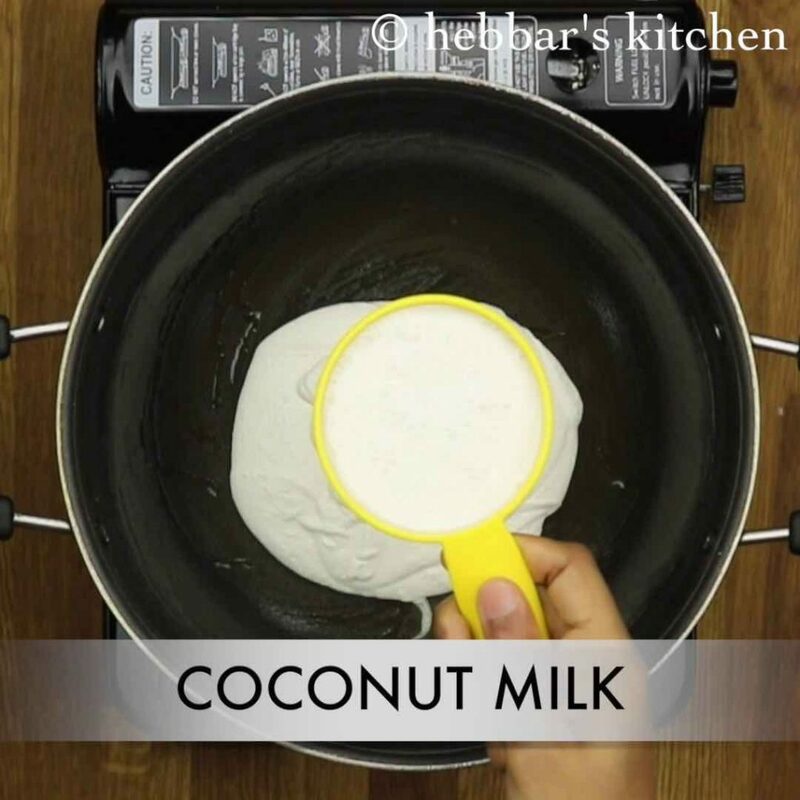 hence coconut milk is always preferred for this recipe. to conclude, i request you to check my other indian breakfast recipes collection. particularly karnataka cuisine recipe collection, udupi cuisine recipe collection and mangalore cuisine recipes collection. also, do visit my idli recipes collection and dosa recipes collection. 1 cup sona masuri rice. 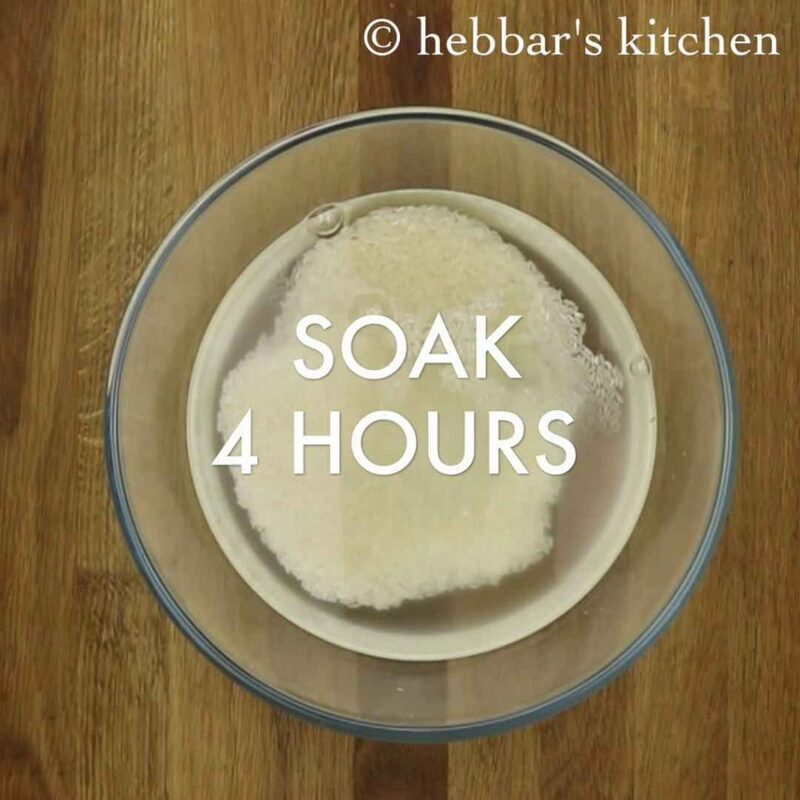 firstly, in a large mixing bowl, soak rice with enough water overnight or atleast for 4 hours. 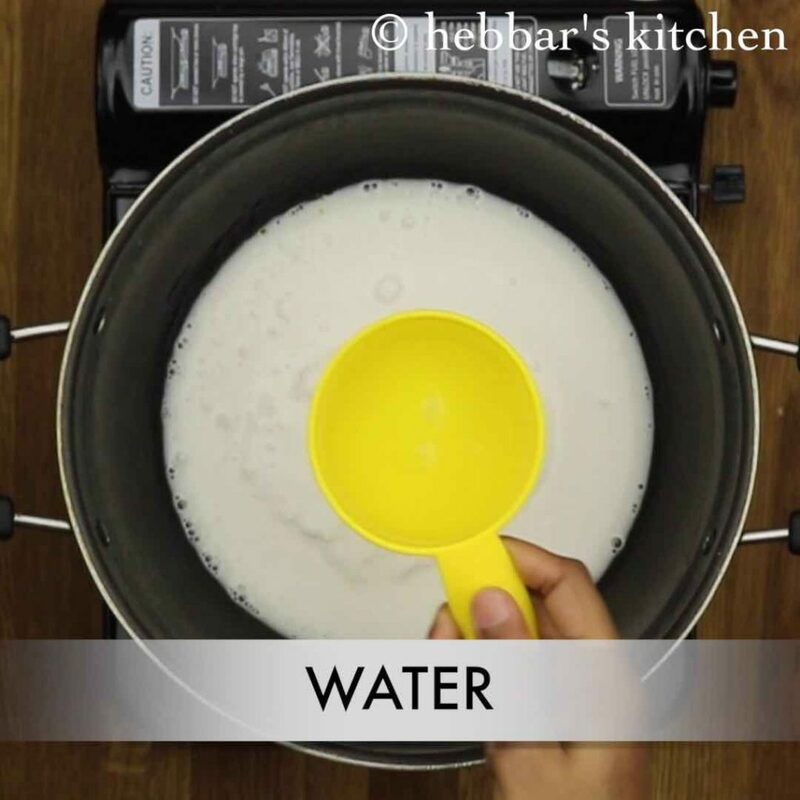 furthermore, drain the water completely and transfer the rice to blender. 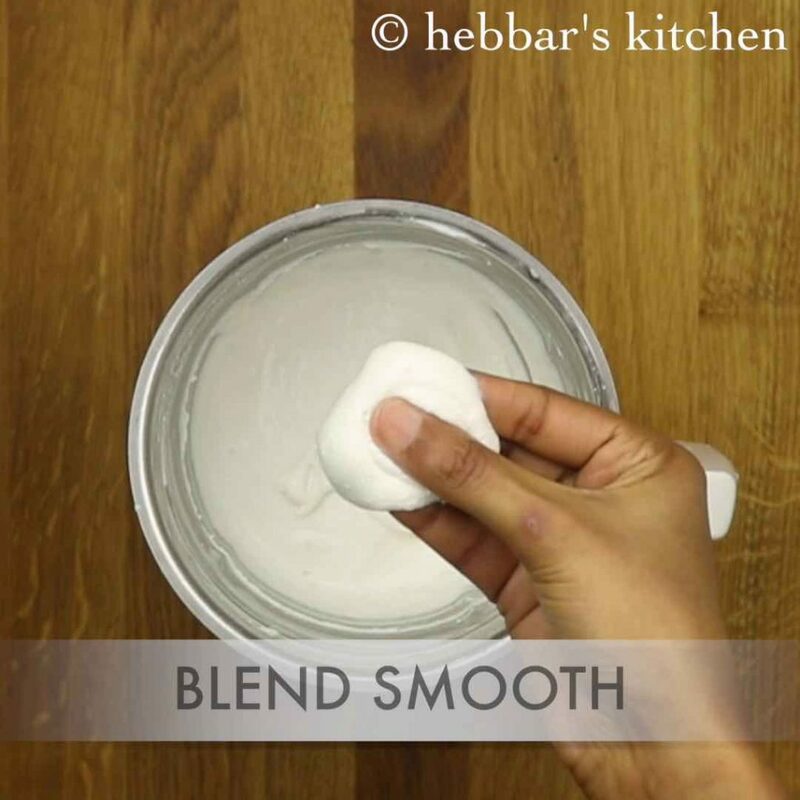 blend to smooth paste adding water as required. however, try to avoid adding water. 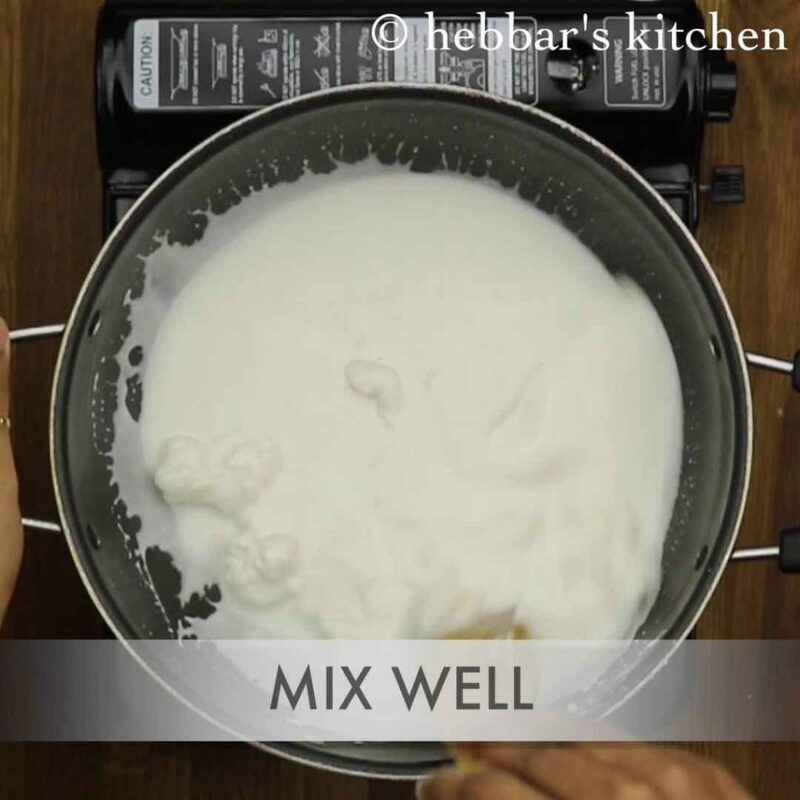 now, grease the non-stick kadai with coconut oil. 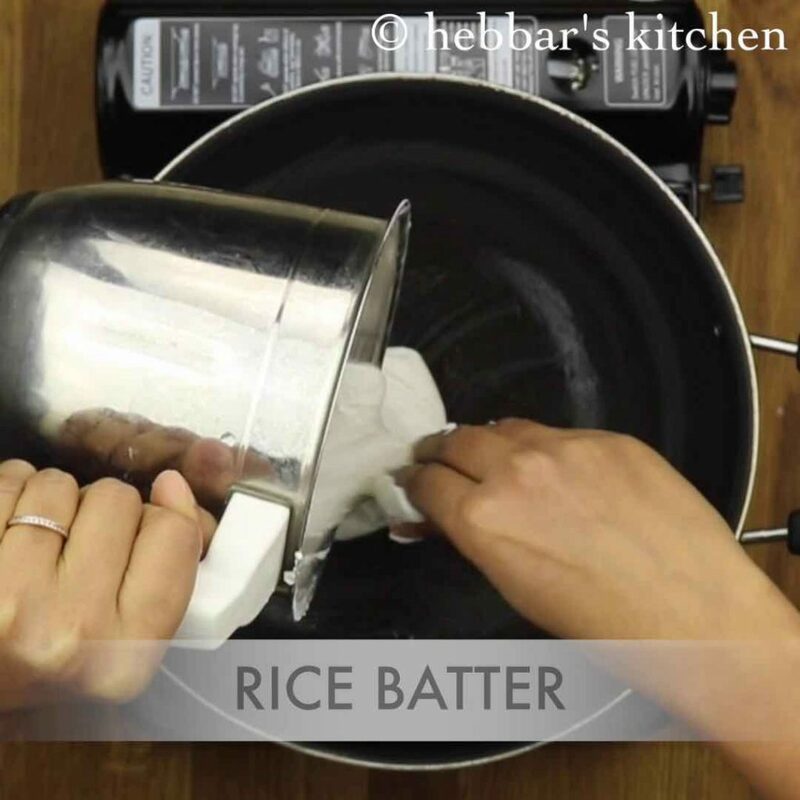 furthermore, transfer the rice batter into the kadai. also add a cup of coconut milk. additionally, and a cup of water and salt. give a good mix and keep the flame on low. furthermore, keep stirring till it forms a dough. 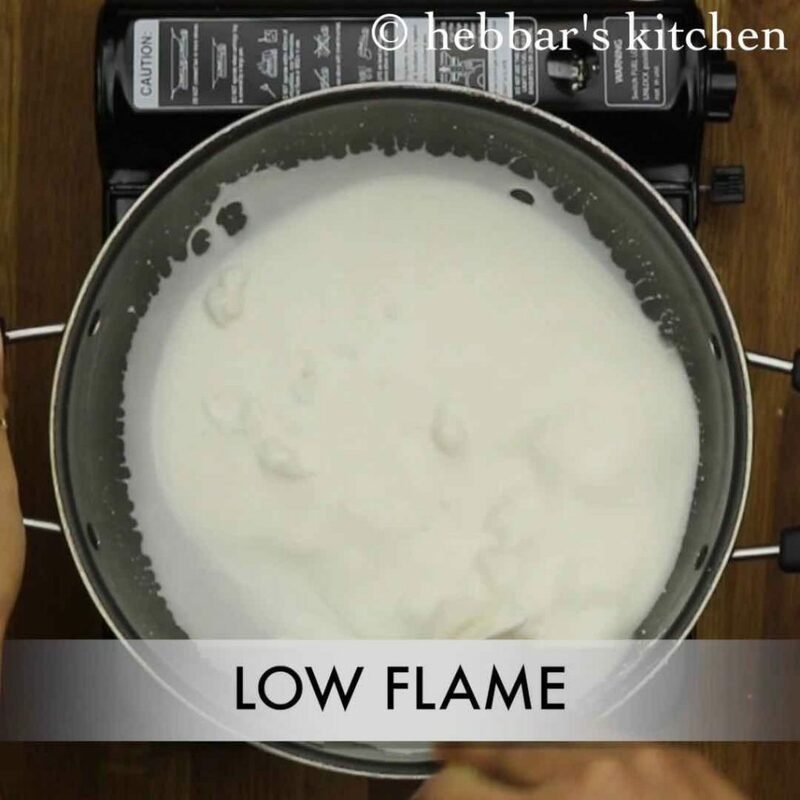 make sure the flame is on low all the time, and keep on stirring for 10 minutes. later, the dough is formed separating the kadai. 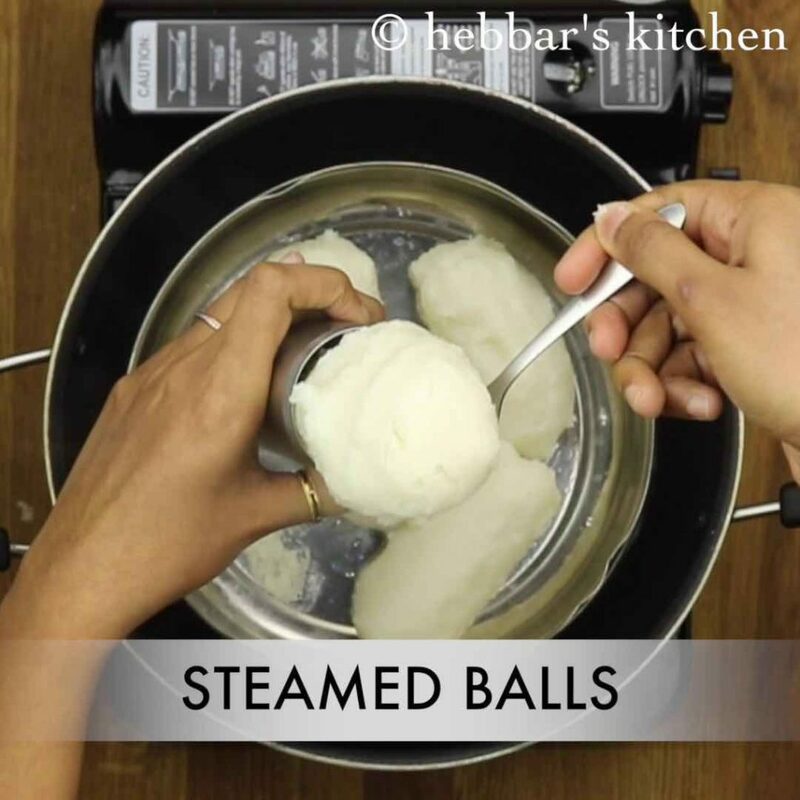 now, wet your hands with cold water and start preparing cylindrical shaped balls. then immediately place in a stemmer. grease the vessel with oil to prevent from sticking. 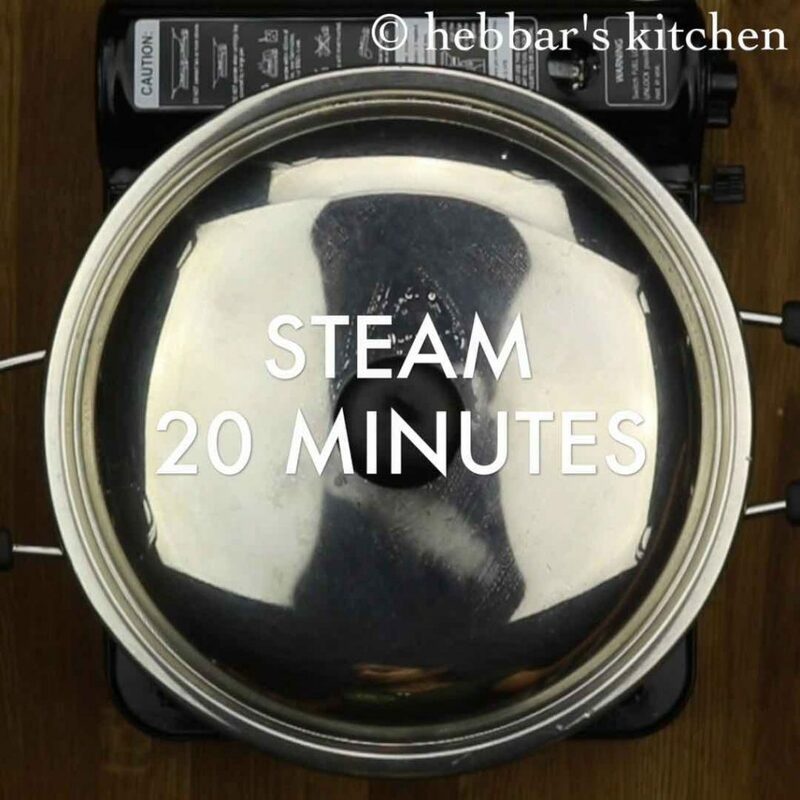 furthermore, steam for 20 minutes on medium flame. 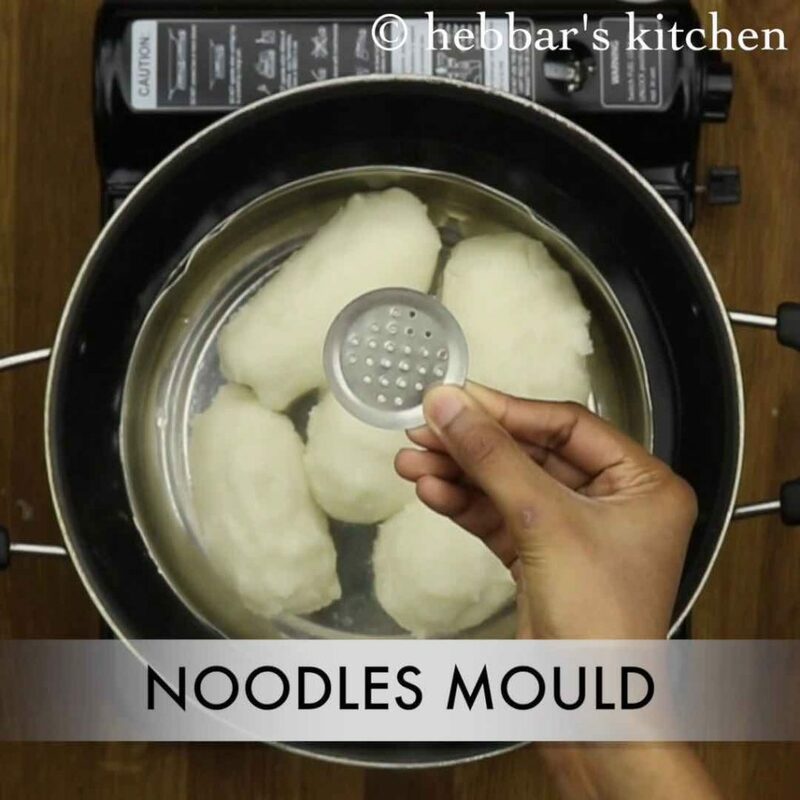 now take noodle mould and fix to the chakli maker. grease the chakli maker with some oil. 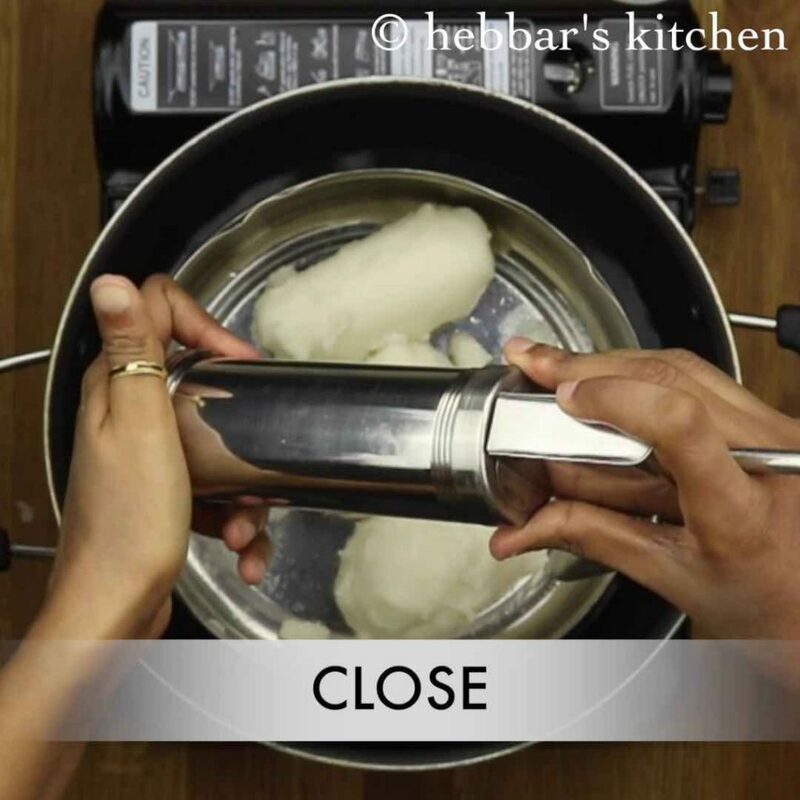 now make a cylindrical shape out of dough and place the dough inside maker. keep steaming the rest dough else they will turn hard. tighten the lid and start preparing shamige. on the wet cloth or plate press in circular motion. finally, serve shavige with mango pickle. 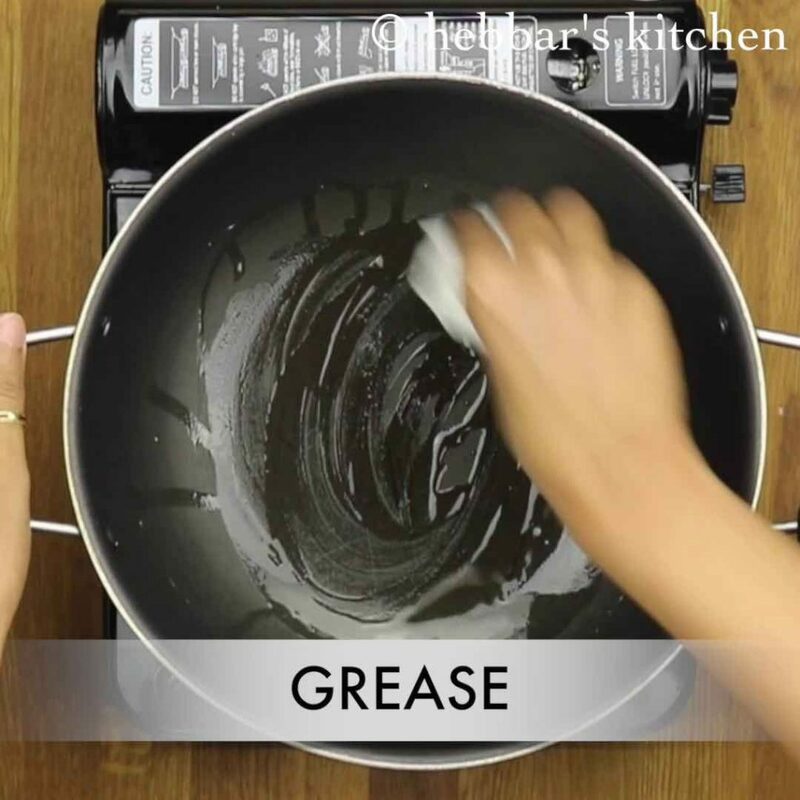 now, grease the non-stick kadai with coconut oil. 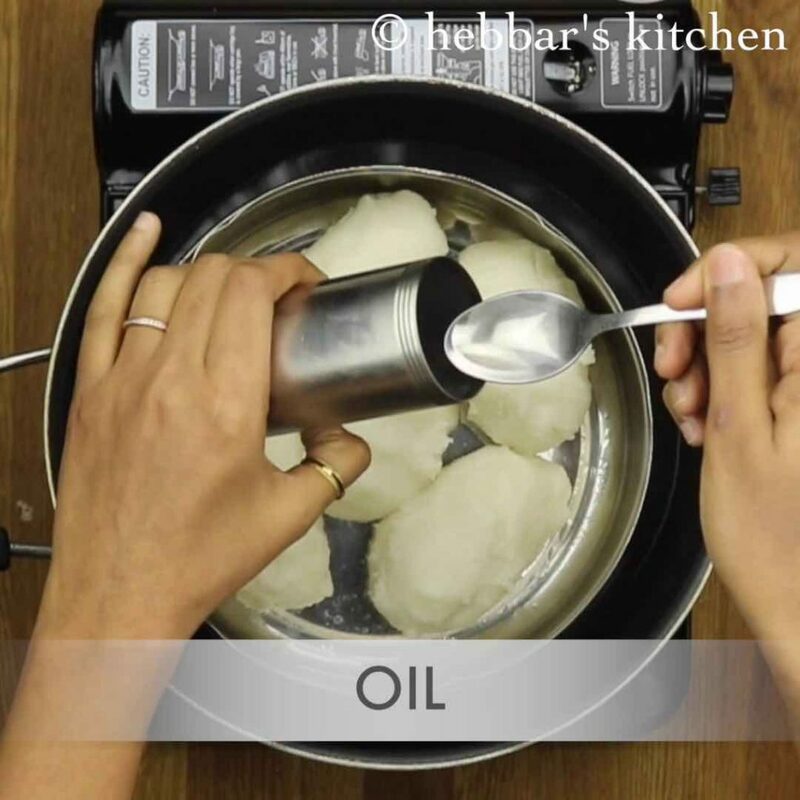 this prevents dough from sticking to kadai. finally, serve shavige with mango pickle or sweet coconut milk and topped with coconut oil. 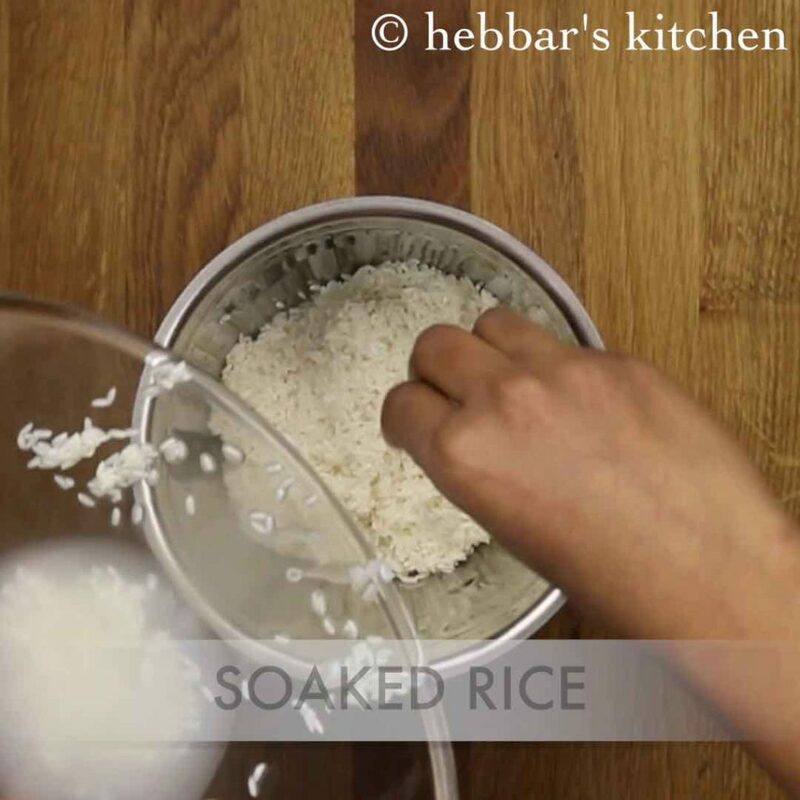 firstly, soak the rice well so that it will be easy to blend to smooth paste. furthermore, prepare the dough on low flame else the shamige will be hard. additionally, replace coconut milk with half cup of fresh coconut. however, i prefer coconut milk. finally, keep steaming the rest dough while pressing shamige, else they will turn hard.